"The Tour de force accomplished by Guy Tremblay is not to have recruited these marginal humans (sometimes a small margin, sometimes a large margin, a margin off the world). The feat is not to have them sit on a bench to photograph them, freeze them in time at a difficult time in their life, even unbearable. The real merit behind these portraits is the presence of the subjects. They are there, entirely here, in their photographs. And to have these wild beings fully present, the photographer had to be too. " "... Guy Tremblay's project is to bring out the dignity of the people photographed by avoiding falling into misery and sensationalism. These photographs allow us to rediscover the humanity of everyone by reconfiguring the parameters of our perception, redefining our possible understanding of these people. They aim to give a human face beyond good and evil, beyond all judgment and knowledge. " 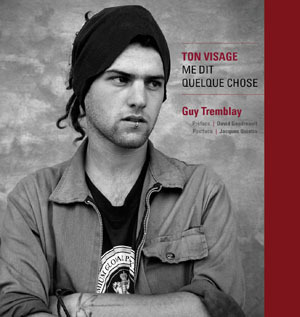 "Guy Tremblay's artistic approach promotes the essential recognition of the other. Behind each of the portraits is a precious human story, marked by obstacles and, above all, hopes. From the invisibility of difficult social realities and atypical intervention practice, it is now a matter of full visibility, reminding us of the importance of coming together for the respect of human dignity. " Please indicate if you wish the hard cover edition limited to 120 copies (numbered and signed, there are less than ten left) at $ 50 or the special edition of the book accompanied by a platinum and palladium print limited to 12 copies, for $ 200 (book and print included, Sorry, sold out). Exceptional offer : Sorry, sold out ! 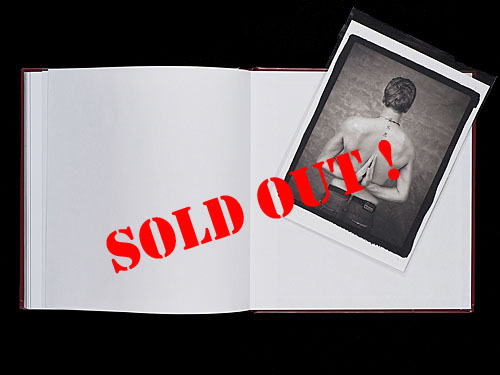 Twelve of these books are accompanied by a platinum and palladium print worth $ 300. Exceptionally, they will be on sale for a limited time at only $ 200 for the book and the print. This type of print is very rare given the level of difficulty inherent to the method of creation, the costs and the extremely sharp expertise necessary for its realization. Each print is hand-made by the artist in a darkroom and is numbered and signed. The platinum and palladium print is sought after by collectors and prized by museums. It is considered one of the most beautiful photographic processes. The image is composed of pure platinum and palladium; its durability is exceptional and exceeds all other photographic techniques. Its lifetime is estimated at more than a thousand years. Each of these prints is unique and its value should increase with the years. Take good care of it so that you and future generations can also enjoy it.